I'm still curious what other folks dream system are. I've never had more than mid-fi, but I've heard a few audiophile systems that let me know I'm a long way off. I've thought about tube base system and had a tube amp for a period of time, but its not for me, so the one I chose in post #1 has all the elements that make it my dream system for me...emotional involvement, purity, simplicity, and good looks. I'm sure there are others with a dream system. Here is an ultimate dream system that belongs to one of my friends. I'm talking over a million dollars in this room. 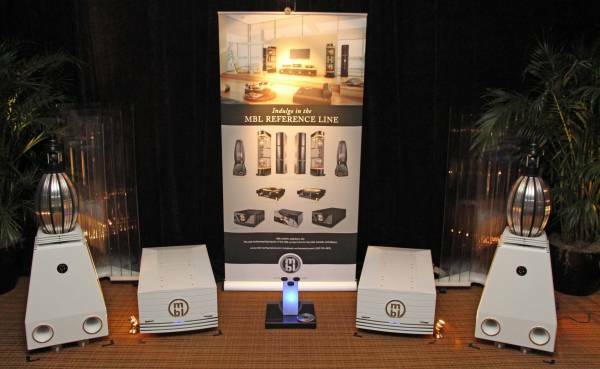 The picture above shows Rockport Arrakis speakers and two pair of VTL Siegfried Reference Series 2 monoblock amplifiers. It starts with the speakers. I have a friend who constructed a pair of line arrays from twelve Jordan JX92 full-range drivers per side ($200 each driver), with several Raal ribbon tweeters added per side (over $400 each) for the very high freq's. Low freq's are played by a pair of Jordan 8" woofers per channel (over $200 per driver). The whole setup is bi-amped, with custom-made line level crossovers using Intact Audio inductors and transformers (no capacitors, I understand). The amps are custom-built tube jobs. The bass amps use push-pull 300B's (DC-coupled, three-stage), for about 15W per channel, class A. The mid-high frequency amps are single-ended, using RCA 50 tubes (two-stage, DC-coupled), about 4W per channel, class A. The source is mostly vinyl, using a very rare Mitchell Cotter direct-drive turntable with a Schroeder tonearm. The RIAA preamp is another custom design. The RIAA eq is attained using Intact Audio inductors and transformers, again with no capacitors used. I'm not a super-wealthy audiophile who's owned everything that ever got a Class A rating in The Absolute Sound, but this is the best audio playback system I have ever heard, including the time I was at Mark Levinson's place in Manhattan to record a demo. If I had that system, I wouldn't leave my living room for a week! Anyway, that would be my dream system. I can't afford anything even close to that, so it will remain a dream. A dream speaker system that would actually fit in my current dedicated room would be a pair of Krell driven Apogee Studio Grands. For a larger room it would be either Infinity IRS-Vs, Apogee Grands or, for truly cost no object speakers, Genesis 1s. The Apogees and Infinities are only available used which makes them "relatively" affordable. What is your dream 2 channel system? 3 speakers (i.e., my dream is that people stop conflating "channels" with "speakers"). For me, it would be a tough choice between an MBL system (their electronics are astoundingly good) with the Radialstrahler X-tremes or this. VAC's new Statement monoblocks feature constant autobiasing to keep the output tubes in their 'happy ' zone at all times - no small feat, that. 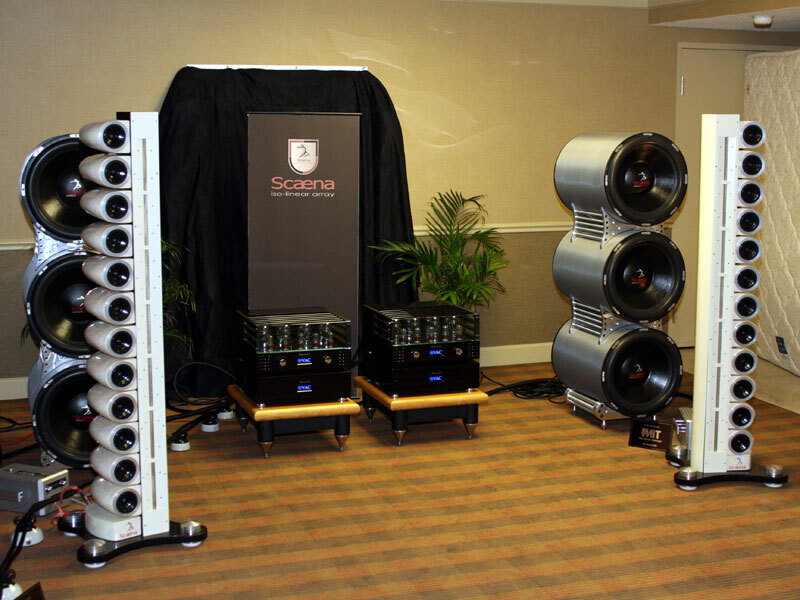 To my ears, the big Scaena speaker system sounds phenomenal! Hey, if you're going to dream, dream big.